Shanghai International Medical Zone is dedicated to becoming an environment-friendly, technology leading, and ecologically harmonious modern medical city that delivers high-end healthcare services and attracts medical devices and bio-medicine businesses with cutting-edge technologies, which are exactly the zone’s key development targets. Covering an area of 11.88 square kilometers, SIMZ is located at the heart of the Greater Pudong Area, close to Pudong International airport, Yangshan Deepwater Port and Shanghai Disney Resort. So far, the main transportation system in the medical zone has taken shape, and the municipal trunk roads in the surrounding area and the supporting projects are also under construction. Metro Line No.16 will have a stop to the west of SIMZ and another two metro lines No.18 and No.21 will be built in adjacent to the Zone. Since its inception, SIMZ has been blessed by the commitment and support of the top leadership and has been widely recognized and certified by governments at all levels. It is now home to a variety of industry platforms, enjoying relevant preferential policies. Especially, in 2011, the Ministry of Health and Shanghai Municipal Government collaboratively established the “Joint Conference System of Shanghai International Medical Zone Development” and put forward a series of policy incentives, defining SIMZ as a special administrative zone of healthcare services. 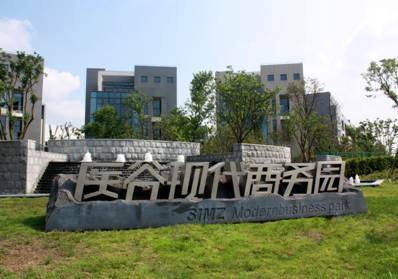 In the same year, SIMZ has become an indispensable part of the core area of Zhangjiang Innovation Demonstration Park. SIMZ always adheres to the principle of building up high-end and high standard infrastructure and service platform, priority of developing medtec and modern medical service projects. Till 2011, more than 100 medical device and biomedical enterprises have been settled in SIMZ including Siemens, Draeger, Analogic, Covance, Shanghai Pharma Group, Simcere and so on. In terms of modern medical service, Shanghai International Medical Center, which is the first premium for-profit hospital complex in China that separates infrastructure development from management and operation, is already under construction. 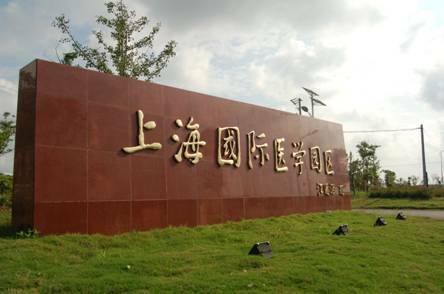 Meanwhile, several high-end and Sino-foreign collaborative medical institutions such as Shanghai Proton and Heavy Ion Hospital, Tongji Baolong Hospital (also known as Sino-German Friendship Hospital), Elizabeth International Hospital for Gynecology and Obstetrics, Dezhou International Hospital are also going to be built in SIMZ. In addition, SIMZ is committed to weaving an industry network which integrates flows of capital, technology and information. 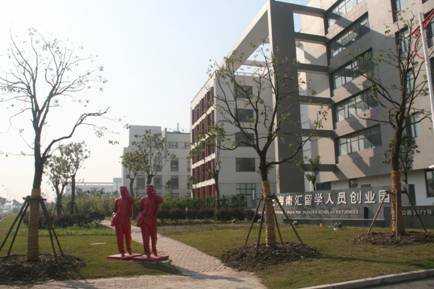 For example, Shanghai Institute of Health Science, Shanghai Instrumentation College and Pharmaceutical Engineering College have been located in SIMZ to provide various talents for the companies and medical institutions in the zone. Shanghai Testing & Inspection Institute for Medical Devices, among other professional organizations, has relocated to the zone to provide professional service for the enterprises. Enterprises in SIMZ have easy access to updates on relevant government policies and industry dynamics via academic exchanges and professional forums held by SIMZ. With the unique geographic location, rigorous policy support and efficient communication with the government, SIMZ will go beyond Shanghai to cover the whole Yangtze River Delta Region, and underpin Shanghai’s aspiration to become a medical hub of Asia. Moving forward, SIMZ will definitely become the first choice destination for domestic and international healthcare companies and investors.